I am a huge Phillies fan. I have been watching them for many years. While I was attending the last Reading, PA card show I came across a dealer that had a bunch of Phillies cards. 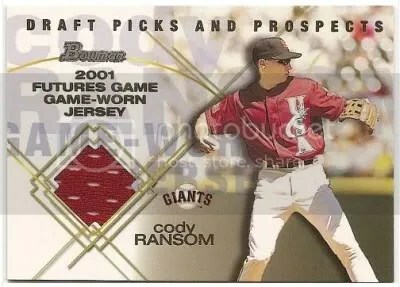 Browsing the table I saw a Chase Utley 2001 Bowman Draft Picks and Prospects Futures Game – Game-Worn Jersey Rookie card. I looked at the price tag and it said $60.00. I didn’t think that was too bad so I asked the dealer, “what would you want for it?”. He said, “I can do $40.00.” I thought that was a great deal and I took it. 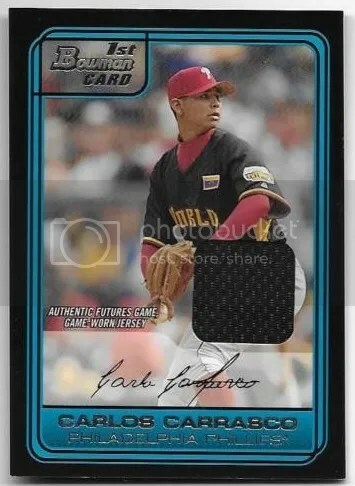 I had been wating this card for awhile but never encountered any, not even online. 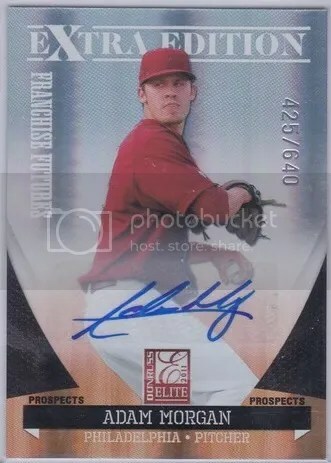 This card is one of my favorite Phillies cards. Chase Utley is having one of his best years ever. His cards are going through the roof, and it can be tempting to sell. 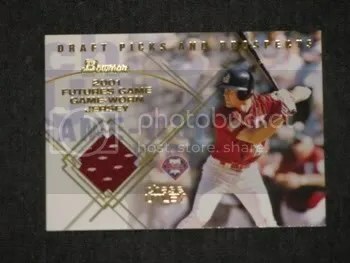 Right now, these cards are selling for $80.00 – $100.00. I could make a nice little return for a $40.00 investment, but I will not be selling. 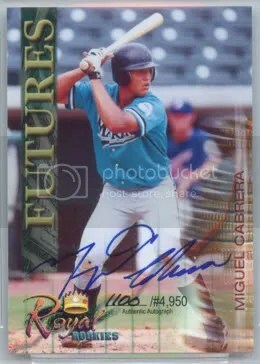 This card will reman in my personal collection for a long time. Is it possible for a prospector to also have a personal collection? Or does everything have a price? Personally, I have never been that big into prospecting. I’m just glad that I was able to get a great deal on a card that I really wanted.